Bill is a director in the firm. His practice is focused on civil litigation and labor law. 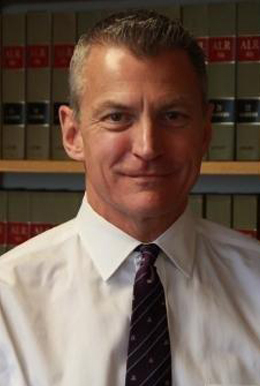 He represents various collective bargaining units including the Maine State Troopers Association, the Maine Association of Police and the Maine State Law Enforcement Association. He also is proud to represent the Portland Sea Dogs, Portland’s AA affiliate of the Boston Red Sox. He is also a frequent presenter at seminars directed to law enforcement officers, lawyers and labor professionals. Bill was born and raised in Portland and graduated from Deering High School. While at Boston College he was elected to Phi Beta Kappa. On graduating from law school, Bill clerked for the United States Bankruptcy Court in Portland. He has an AV Preeminent rating from Martindale Hubbell, the highest peer rating standard for legal knowledge, communication skills and ethical standards. Bill has substantial experience representing plaintiffs in personal injury litigation, including medical malpractice. He has obtained numerous large settlements and jury verdicts, including a $3.1 million judgment for a client in Androscoggin County. He has been elected to the Multi-Million Dollar Advocates Forum. Bill is a strong supporter of the arts and is the past President of the Board of Directors of the Maine State Ballet; he currently serves on its Advisory Board. He is an avid runner. He has two adult children and lives in Portland with his wife Paula.